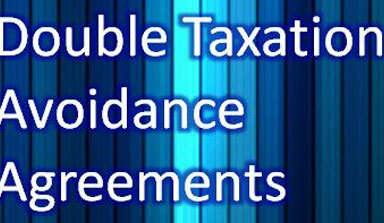 CBDT notifies Revised DTAA / Convention with Mauritius | J N Kanabar and Co.
Now, therefore, in exercise of the powers conferred by sub-section (1) of section 90 of the Income-tax Act, 1961 (43 of 1961), the Central Government hereby notifies that all the provisions of said Protocol, as annexed hereto as Annexure, shall be given effect to in the Union of India, in accordance with Article 9 of the said Protocol. “the furnishing of services, including consultancy services, by an enterprise through employees or other personnel engaged by the enterprise for such purpose, but only where activities of that nature continue (for the same or connected project) for a period or periods aggregating more than 90 days within any 12-month period.”8.2016.
. However, such fees for technical services may also be taxed in the Contracting State in which they arise, and according to the laws of that State, but if the beneficial owner of the fees for technical services is a resident of the other Contracting State the tax so charged shall not exceed 10 per cent of the gross amount of the fees for technical services. The term “fees for technical services” as used in the Article means payments of any kind, other than those mentioned in Articles 14 and 15 of this Convention as consideration for managerial or technical or consultancy services, including the provision of services of technical or other personnel. The provisions of paragraph 1 and 2 shall not apply if the beneficial owner of the fees for technical services being a resident of a Contracting State, carries on business in the other Contracting State in which the fees for technical services arise, through a permanent establishment situated therein, or performs in that other State independent personal services from a fixed base situated therein, and the right or property in respect of which the fees for technical services are paid is effectively connected with such permanent establishment or fixed base. In such case the provisions of Article 7 or Article 14, as the case may be, shall apply. Fees for technical services shall be deemed to arise in a Contracting State when the payer is that State itself, a political sub-division, a local authority, or a resident of that State. Where, however, the person paying the fees for technical services, whether he is a resident of a Contracting State or not, has in a Contracting State a permanent establishment or a fixed base in connection with which the liability to pay the fees for technical services was incurred, and such fees for technical services are borne by such permanent establishment or fixed base, then such fees for technical services shall be deemed to arise in the Contracting State in which the permanent establishment or fixed base is situated. Where, by reason of a special relationship between the payer and the beneficial owner or between both of them and some other person, the amount of the fees for technical services exceeds the amount which would have been agreed upon by the payer and the beneficial owner in the absence of such relationship, the provisions of this Article shall apply only to the last-mentioned amount. In such case, the excess part of the payments shall remain taxable according to the laws of each Contracting State, due regard being had to the other provisions of this Convention. “3A. Gains from the alienation of shares acquired on or after 1st April 2017 in a company which is resident of a Contracting State may be taxed in that State. Any information received under paragraph 1 by a Contracting State shall be treated as secret in the same manner as information obtained under the domestic laws of that Contracting State and shall be disclosed only to persons or authorities (including courts and administrative bodies) concerned with the assessment or collection of, the enforcement or prosecution in respect of, the determination of appeals in relation to the taxes referred to in paragraph 1, or the oversight of the above. Such persons or authorities shall use the information only for such purposes. They may disclose the information in public court proceedings or in judicial decisions. Notwithstanding the foregoing, information received by a Contracting State may be used for other purposes when such information may be used for such other purposes under the laws of both States and the competent authority of the supplying State authorizes such use. If information is requested by a Contracting State in accordance with this Article, the other Contracting State shall use its information gathering measures to obtain the requested information, even though that other State may not need such information for its own tax purposes. The obligation contained in the preceding sentence is subject to the limitations of paragraph 3 but in no case shall such limitations be construed to permit a Contracting State to decline to supply information solely because it has no domestic interest in such information. The Contracting States shall lend assistance to each other in the collection of revenue claims. This assistance is not restricted by Article 1 and 2. The competent authorities of the Contracting States may by mutual agreement settle the mode of application of this Article. The term “revenue claim” as used in this Article means an amount owed in respect of taxes of every kind and description imposed on behalf of the Contracting States, or of their political sub-divisions or local authorities, insofar as the taxation thereunder is not contrary to this Convention or any other instrument to which the Contracting States are parties, as well as interest, administrative penalties and costs of collection or conservancy related to such amount. When a revenue claim of a Contracting State is enforceable under the laws of that State and is owed by a person who, at that time, cannot, under the laws of that State, prevent its collection, that revenue claim shall, at the request of the competent authority of that State, be accepted for purposes of collection by the competent authority of the other Contracting State. That revenue claim shall be collected by that other State in accordance with the provisions of its laws applicable to the enforcement and collection of its own taxes as if the revenue claim were a revenue claim of that other State. When a revenue claim of a Contracting State is a claim in respect of which that State may, under its law, take measures of conservancy with a view to ensure its collection, that revenue claim shall, at the request of the competent authority of that State, be accepted for purposes of taking measures of conservancy by the competent authority of the other Contracting State. That other State shall take measures of conservancy in respect of that revenue claim in accordance with the provision of its laws as if the revenue claim were a revenue claim of that other State even if, at the time when such measures are applied, the revenue claim is not enforceable in the first-mentioned State or is owned by a person who has a right to prevent its collection. Notwithstanding the provisions of paragraphs 3 and 4, a revenue claim accepted by a Contracting State for purposes of paragraph 3 or 4 shall not, in that State, be subject to the time limits or accorded any priority applicable to a revenue claim under the laws of that State by reason of its nature as such. In addition, a revenue claim accepted by a Contracting State for the purposes of paragraph 3 or 4 shall not, in that State, have any priority applicable to that revenue claim under the laws of the other Contracting State. Proceedings with respect to the existence, validity or the amount of a revenue claim of a Contracting State shall only be brought before the courts or administrative bodies of that State. Nothing in this Article shall be construed as creating or providing any right to such proceedings before any court or administrative body of the other Contracting State. (b) in the case of a request under paragraph 4, a revenue claim of the first-mentioned State in respect of which that State may, under its laws, take measures of conservancy with a view to ensure its collection, the competent authority of the first-mentioned State shall promptly notify the competent authority of the other State of that fact and, at the option of the other State, the first-mentioned State shall either suspend or withdraw its request. A shell/conduit company that claims it is a resident of a Contracting State shall not be entitled to the benefits of Article 13(3B) of this Convention. A shell/ conduit company is any legal entity falling within the definition of resident with negligible or nil business operations or with no real and continuous business activities carried out in that Contracting State. A resident of a Contracting State is deemed to be a shell/conduit company if its expenditure on operations in that Contracting State is less than Mauritian Rs.1,500,000 or Indian Rs. 2,700,000 in the respective Contracting State as the case may be, in the immediately preceding period of 12 months from the date the gains arise. (b) its expenditure on operations in that Contracting State is equal to or more than Mauritian Rs.1,500,000 or Indian Rs.2,700,000 in the respective Contracting State as the case may be, in the immediately preceding period of 12 months from the date the gains arise. Each of the Contracting States shall notify to the other the completion of the procedures required by its law for the bringing into force of this Protocol. This Protocol shall enter into force on the date of the later of these notifications. The provisions of Article 4 of this Protocol shall have effect in both Contracting States for assessment year 2018-19 and subsequent assessment years. The provisions of Article 6 and 7 of this Protocol shall have effect from the date of entry into force of the Protocol, without regard to the date on which the taxes are levied or the taxable years to which the taxes relate. In witness whereof the undersigned, duly authorized, have signed this Protocol. Done in duplicate at Mauritius this 10th day of May 2016, in the English and Hindi languages, both texts equally authentic. In the case of divergent interpretation of the texts, the English text shall prevail.